The PlasmaQuant® MS Elite delivers outstanding performance for applications, including leading-edge research, that benefit from industry-leading sensitivity and low background noise, e.g. in geochemistry, material sciences, and biological imaging. With a next generation plasma system, ReflexION ion mirror and high-definition, true 3 MHz quadrupole, the PlasmaQuant® MS Elite even exceeds the sensitivity specifications of high-priced magnetic sector-field ICP-MS instruments. The Dual Connection technology with two entry ports into the torch compartment allows for easy and flexible setup of any HPLC system. 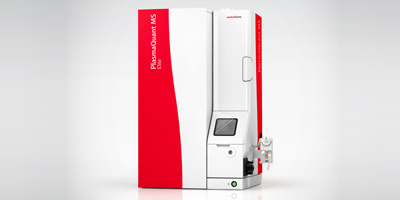 No reviews were found for PlasmaQuant - Model MS Elite - Mass Spectrometer for Research Applications. Be the first to review!